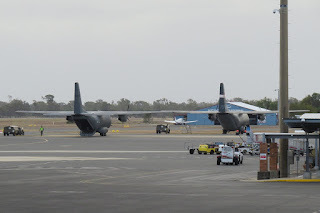 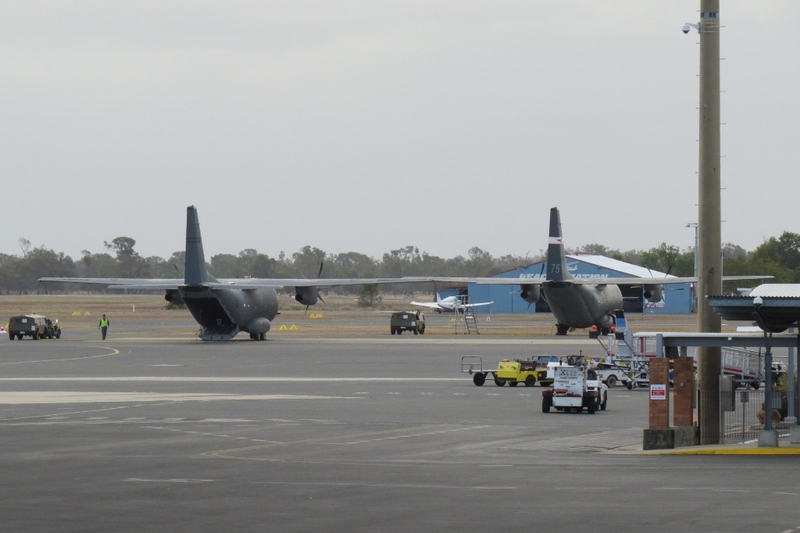 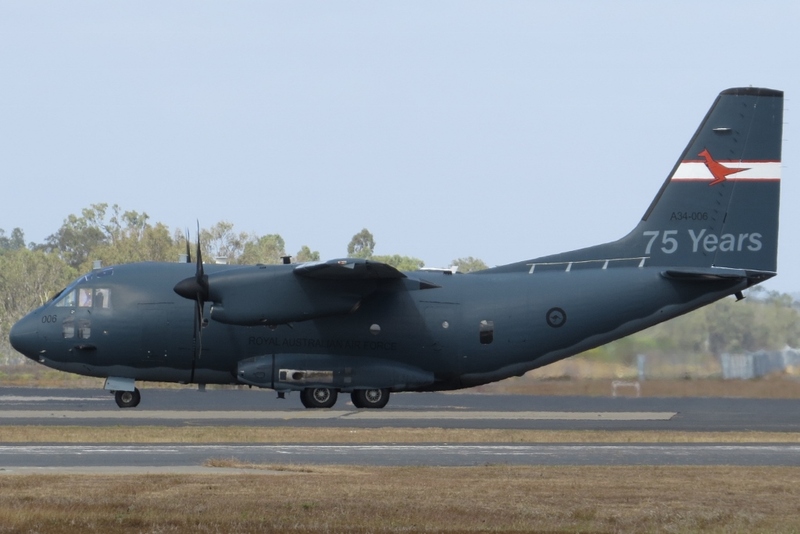 Central Queensland Plane Spotting: A Pair of RAAF Alenia C-27J Spartan Transport Aircraft Arrive into Rockhampton Airport - A34-006 "Wallaby 03" & A34-005 "Wallaby 05"
A Pair of RAAF Alenia C-27J Spartan Transport Aircraft Arrive into Rockhampton Airport - A34-006 "Wallaby 03" & A34-005 "Wallaby 05"
As the land/sea joint military exercise within the Shoalwater Bay Training Area (SWBTA) continues, on Friday 8 June, a pair of Royal Australian Air Force (RAAF) Alenia C-27J Spartan transport aircraft were spotted arriving into Rockhampton Airport with their deployment expected to last at least a week. During the middle part of the morning, A34-006 was spotted arriving into Rocky direct from RAAF Base Richmond flying as "Wallaby 03". It parked on the Northern military hardstand. 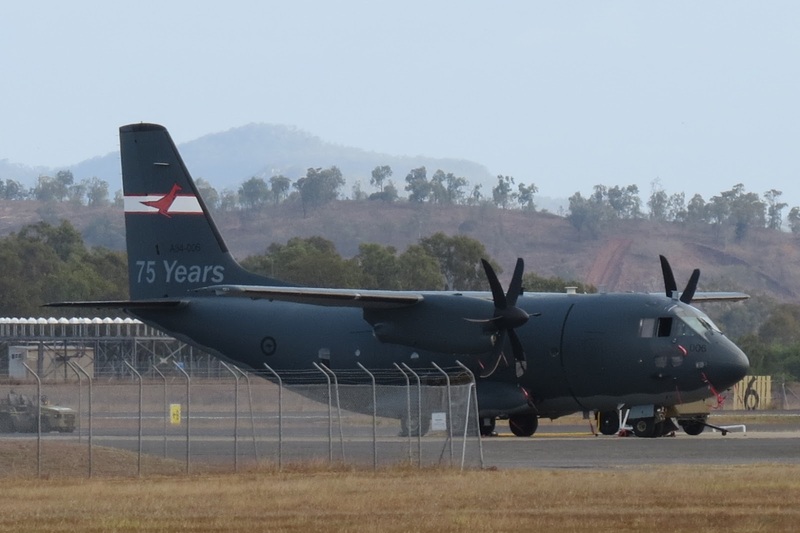 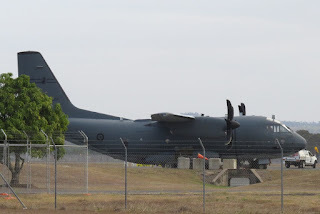 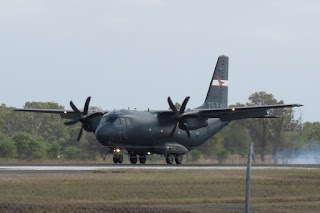 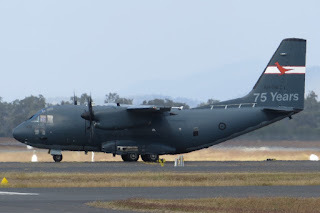 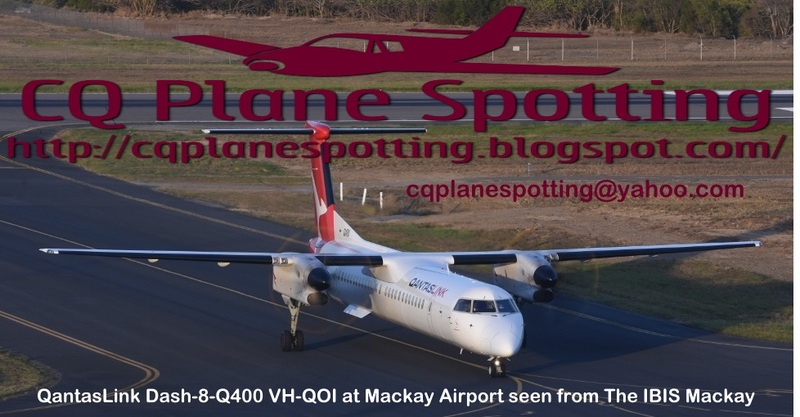 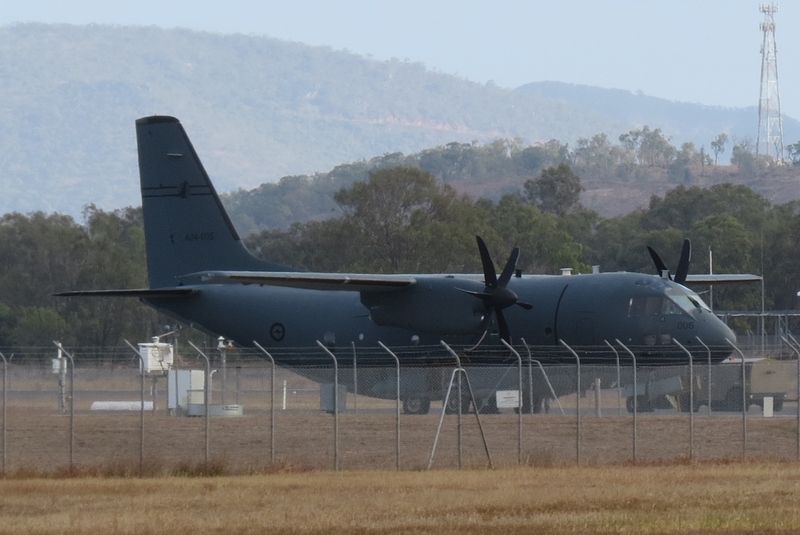 During the middle part of the afternoon, A34-005 joined its counterpart also arriving into Rockhampton Airport direct from Richmond but as "Wallaby 05". 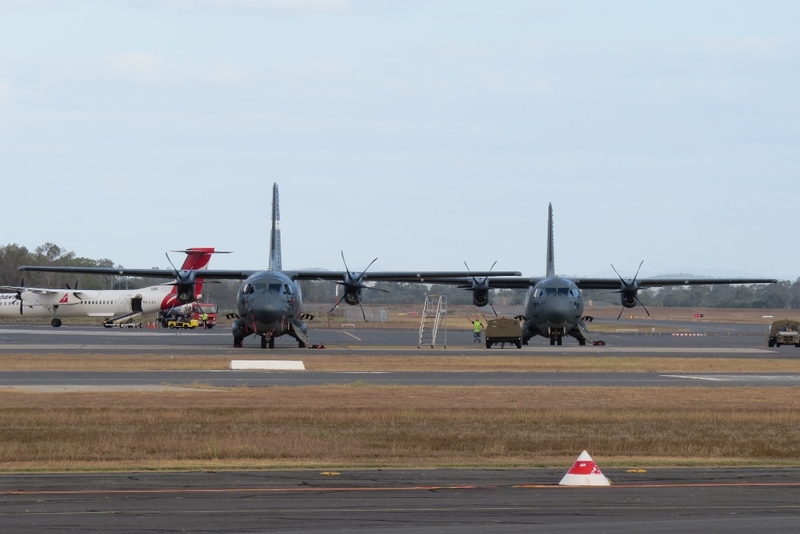 As shown, both Spartans remain parked on the Northern military hardstand. 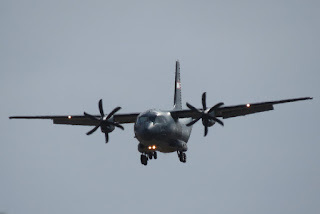 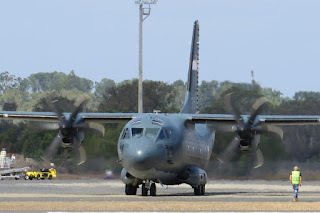 The Alenia C-27J Spartan is a military transport aircraft developed and manufactured by Alenia Aermacchi. 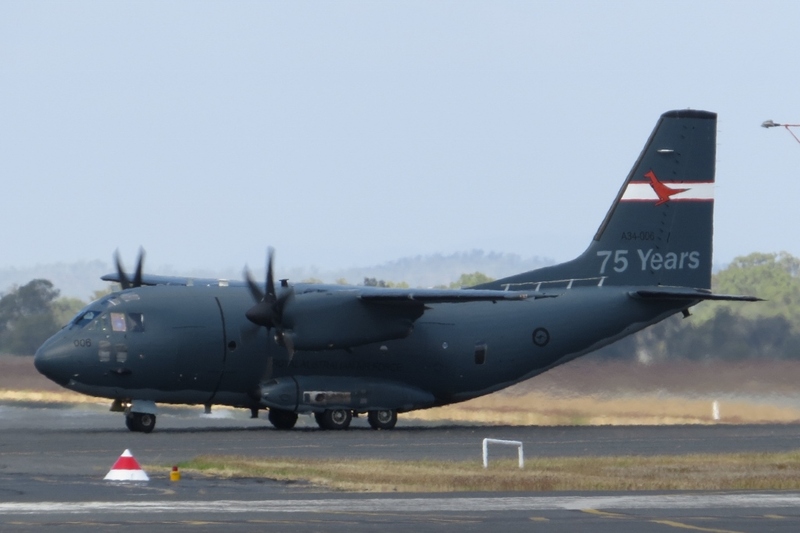 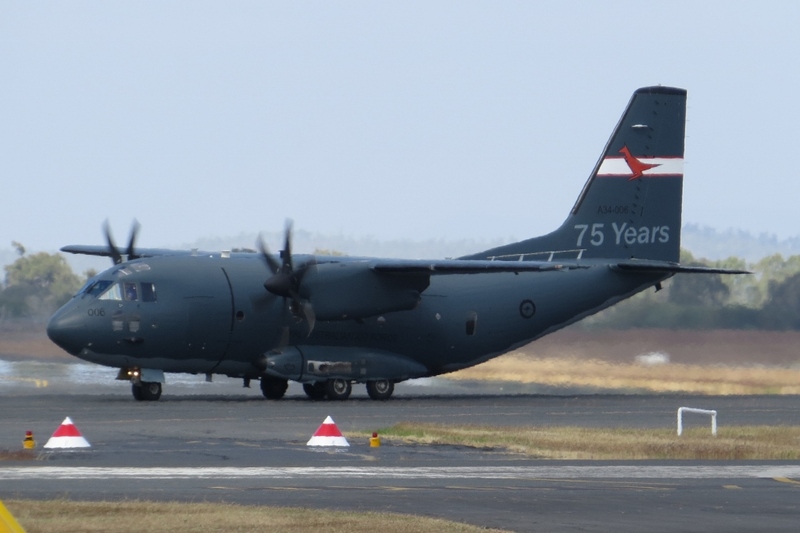 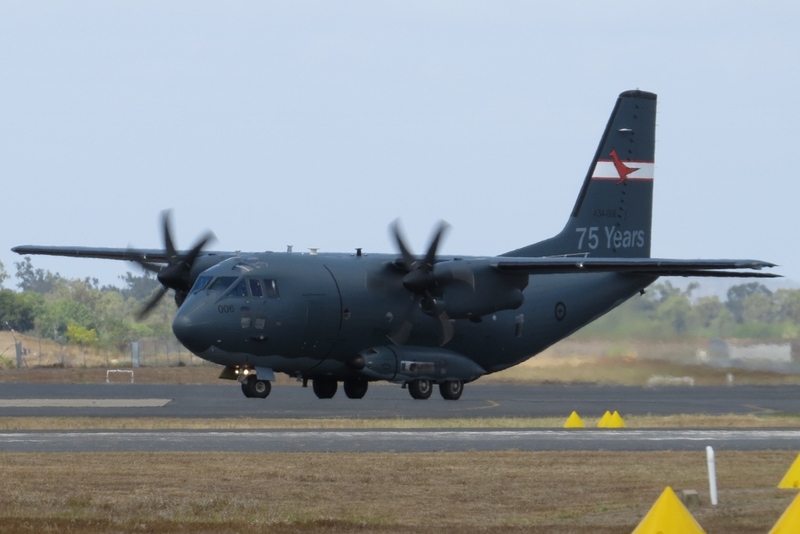 The RAAF recently took delivery of its tenth and final C-27J Spartan battlefield airlifter after they were ordered by in May 2012 to replace the now-retired De Havilland DHC-4 Caribou fleet. 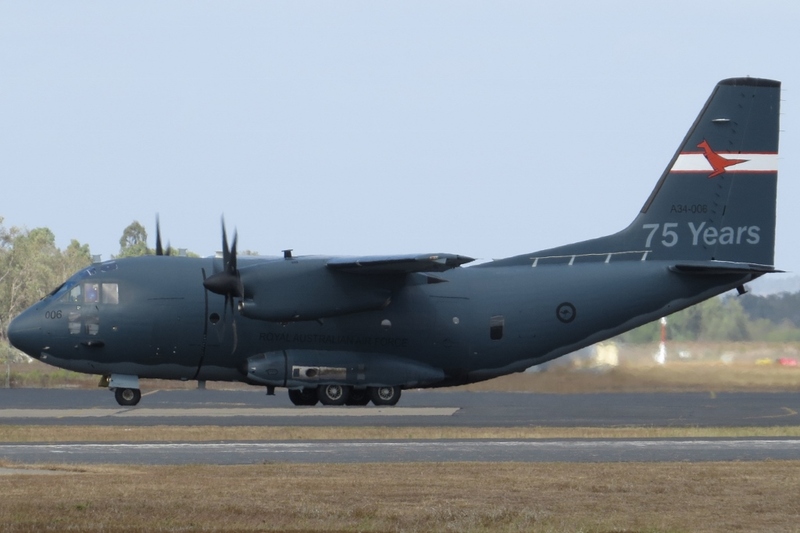 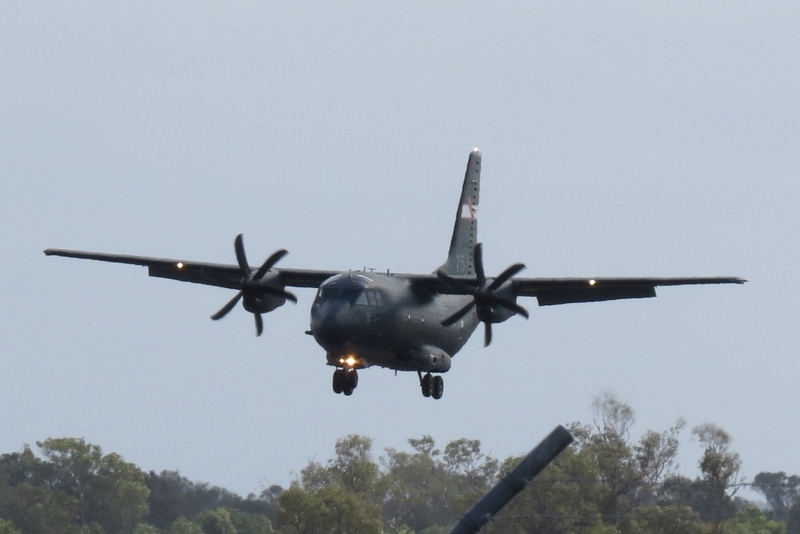 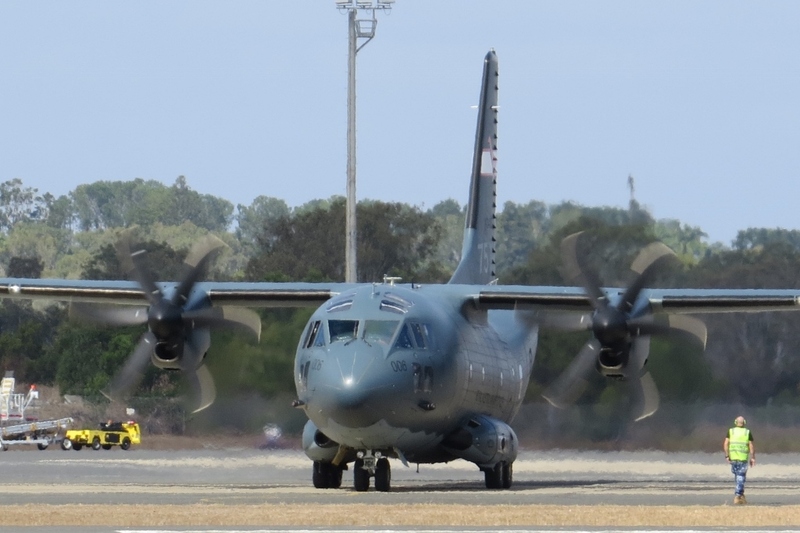 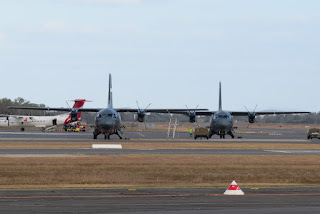 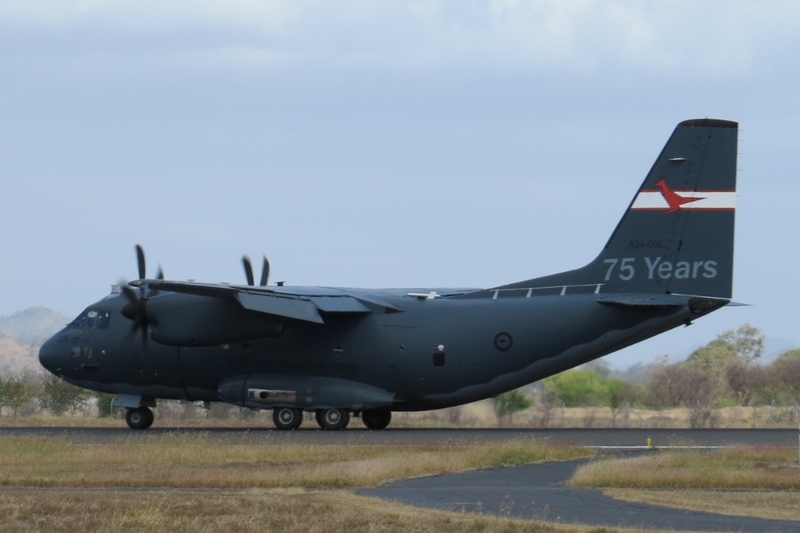 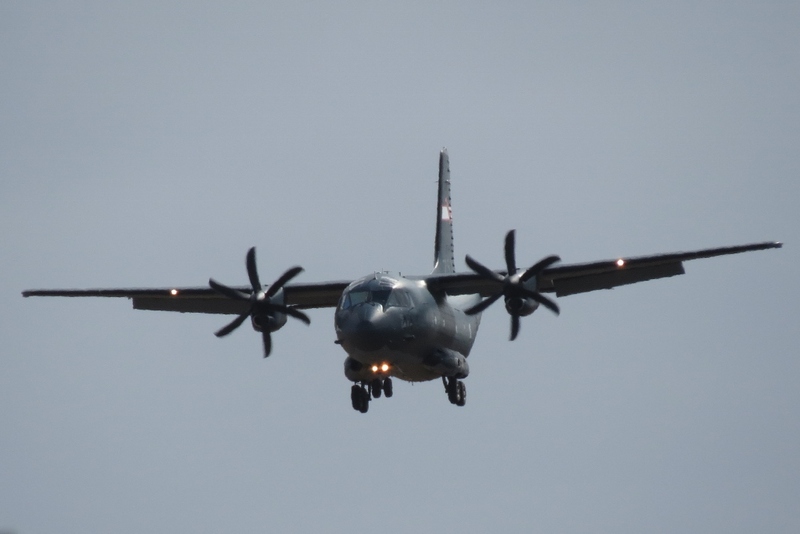 The RAAF C-27J Spartan aircraft complements the capabilities of the current C-130J Hercules and C-17A Globemaster aircraft and uses common C-130J Hercules infrastructure and aircraft systems such as engines, avionics and the cargo handling systems. 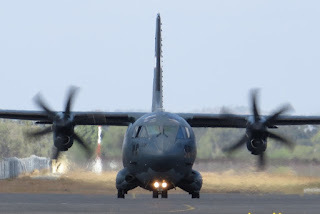 They will be equipped with missile warning systems, electronic self-protection and battlefield armour allowing them to operate freely in high-threat environments. 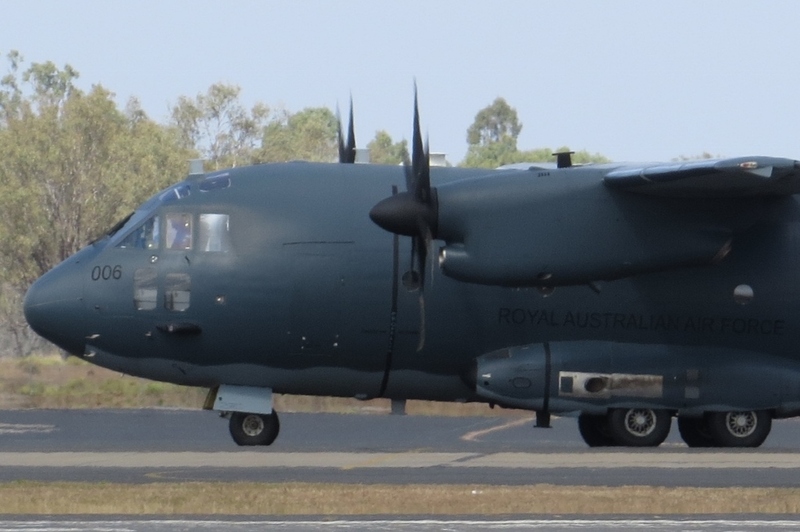 The current 10 Spartan aircraft will be based at RAAF Base Richmond initially before being based at RAAF Base Amberley and operated by 35 Squadron. 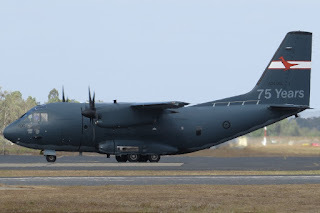 Initial Operating Capability (IOC) for the C-27J was achieved in December 2016, while Final Operating Capability (FOC) is now scheduled to be declared in late 2019. 2017 marked the 75th Anniversary of the RAAF's 35 Squadron and as shown above, A34-006 was marked up with an Orange Wallaby tail stripe reminiscent of the Squadron's Caribou markings carried during the Vietnam War when it was affectionately known as 'Wallaby Airways'. 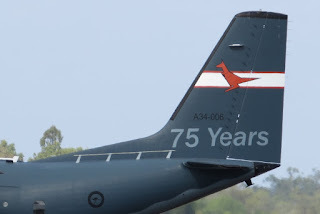 Stay tuned for more in the coming days!